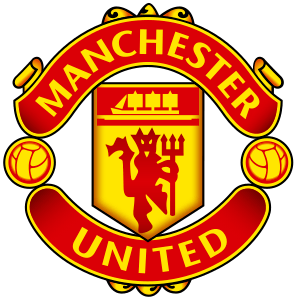 Introduction: There is a rumour that suggests during a tour of France in the 1960s Manchester United were branded the Red Devils due to their red kit and Sir Matt Busby liked the name so much he asked for the club to incorporate a devil into the badge. Devilling is the use of Worcestershire sauce, mustard and cayenne pepper to flavour stuff, in this case kidneys. It is an Edwardian (1901-1910) recipe popularised in gentleman’s clubs along with kedgeree and smoked herring. This is the era during which Manchester United was officially born, specifically the 24th April 1902. Rinse the kidneys under cold running water. Using scissors, carefully cut the white cores out and bin them. If you have time, soak them in milk for 20mins before cooking, this removes any bitterness. Melt the butter in a frying pan, not too hot or you’ll burn it. Add the onion and fry gently for 3–4 minutes until soft and turning golden-brown. Add the kidneys and cook for 2–3 minutes, turning every now and then until well coloured. BTW, cutting the little white bits out stops the kidneys curling. Add the tomato purée, mustard, cayenne pepper, Worcestershire sauce and the critical RedDevilsCurrant jelly, season with salt and freshly ground black pepper. Let the sauce bubble for a bit, say a minute, loosen with Worcestershire sauce if necessary. Set aside to cool for a little while in the pan while you toast the bread. Spread the toast with butter and lob on the kidneys. Serve immediately.